Anna Banana and Jurgen Olbrich performed a variety of short pieces in which they interacted amongst one another and with the audience. 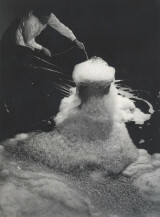 The performances were based on the interchanges between a man and woman of different cultural and artistic perspectives. 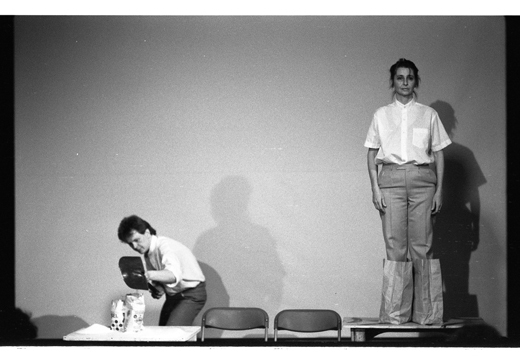 Anna Banana and Jurgen Olbrich performing ‘Ideas are Linked’, 1984. 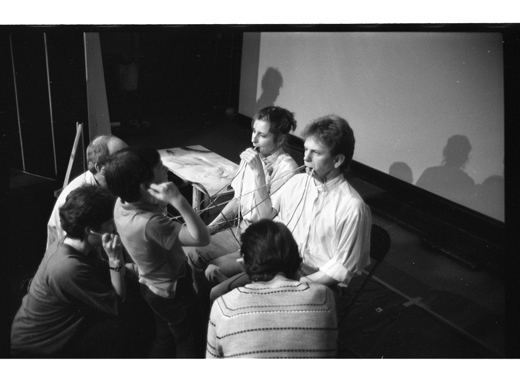 Anna Banana and Jurgen Olbrich interact during the performance of ‘Ideas are Linked’, 1984.